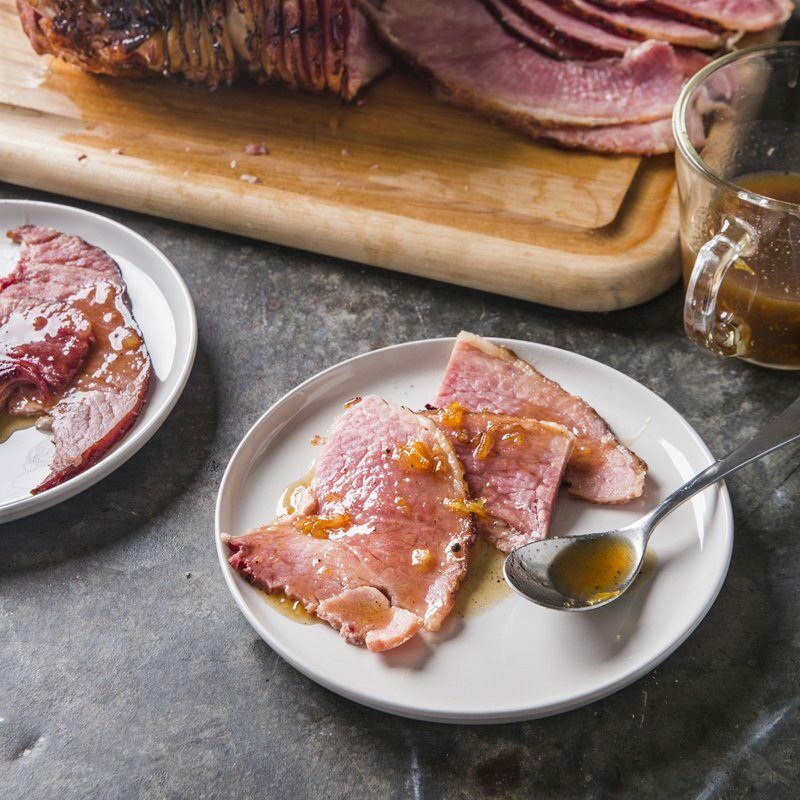 Heating and glazing a cured ham seems effortless, but many recipes yield leathery meat in an overly sweet glaze. We wanted to guarantee moist meat in a nuanced glaze. Bone-in hams, labeled “with natural juices,” have the best flavor and spiral-sliced ones make carving a cinch, but too much time in the oven can ruin even the best ham on the market, so we focused on reducing the cooking time. Soaking the ham in hot water shaved off a full hour, and using an oven bag further reduced the cooking time while also containing the ham’s moisture. We heated a mixture of sweet and savory pantry staples for two tempting glaze options. You may bypass the 1 1/2-hour soaking time, but the ham will be less juicy and the heating time must increase to 18 to 20 minutes per pound. We prefer a tapered shank ham but a rounded sirloin ham will work here. If there is a tear or hole in the ham’s inner covering, wrap it in several layers of plastic wrap before the hot-water soak. If you do not wish to use an oven bag, place the ham cut side down in the roasting pan and cover tightly with aluminum foil, adding 3 to 4 minutes per pound to the heating time. 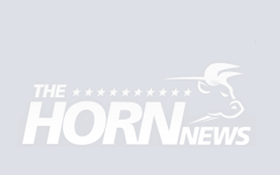 Sponsored: [BREAKING] Proof Obama was Illegitimate President? Leaving ham’s inner plastic or foil covering intact, place ham in large container and cover with hot water; set aside for 45 minutes. Drain and cover again with hot water; set aside for another 45 minutes. Adjust oven rack to lowest position and heat oven to 250 F. Unwrap ham; discard plastic disk covering bone. Place ham in oven bag. Gather top of bag tightly so bag fits snugly around ham, tie bag, and trim excess plastic. Set ham cut side down in large roasting pan and cut 4 slits in top of bag with knife. Bake ham until center registers 100 degrees, 1 to 1 1/2 hours (about 10 minutes per pound). Remove ham from oven and increase oven temperature to 350 F. Cut open oven bag and roll back sides to expose ham. Brush ham with one-third of glaze and return to oven until glaze becomes sticky, about 10 minutes (if glaze is too thick to brush, return to heat to loosen). Remove ham from oven, transfer to carving board, and brush entire ham with another third of glaze. Tent ham with aluminum foil and let rest for 15 minutes. 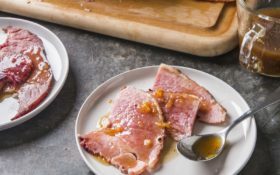 While ham rests, add 4 to 6 tablespoons of ham juices to remaining one-third of glaze and cook over medium heat until thick but fluid sauce forms. Carve and serve ham, passing sauce separately. Combine ingredients in small saucepan and cook over medium heat, stirring occasionally, until reduced to 1 cup, 5 to 10 minutes; set aside. Simmer port in small saucepan over medium heat until reduced to 2 tablespoons, about 5 minutes. Add remaining ingredients and cook, stirring occasionally, until reduced to 1 cup, 5 to 10 minutes; set aside.